It is called oleanolic acid, it is present in many fruits and vegetables and has antioxidant, anticancer, anti-inflammatory and anti-allergic properties. 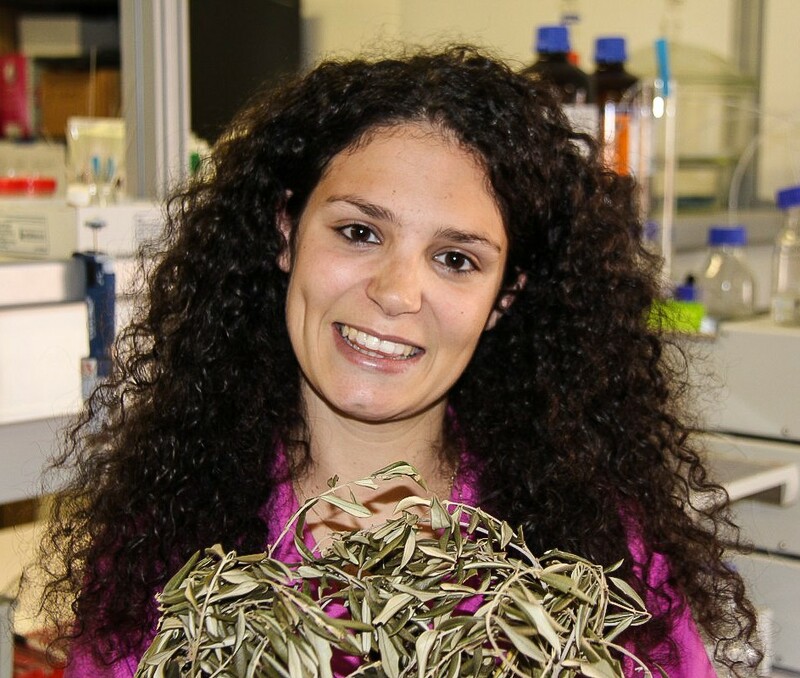 In CICECO / University of Aveiro (UA) a team of chemists developed, in collaboration with the Vienna University of Technology (Austria), a more sustainable method capable of extracting this acid from the olive leaves. Thinking about the pharmaceutical and olive oil industries, the extraction method developed promises to add value to the thousands of tons of leaves that the country produces each year. "The interest in oleanolic acid is due to its beneficial properties for human health, namely the antioxidant, anticancer, anti-inflammatory and anti-allergic properties, thus presenting a great interest for the pharmaceutical industry", explains the researcher Ana Cláudio who together with Emanuelle Faria, Armando Silvestre and Mara Freire, signs the work. The olive leaves are a residue from the olive oil industry, one of the most important industries in Portugal and it generates worldwide about 1 million tons of leaves annually. Currently, this residue is normally burned to generate energy, since the method used to extract oleanolic acid is not sustainable and uses volatile organic solvents, which are often toxic and carcinogenic. The researchers found it possible to extract the oleanolic acid with the use of an aqueous solutions of ionic liquids at temperatures close room temperature, replacing the use of volatile organic solvents and the elevated energy consumption association with the traditional methods. "This work was created in order to value this by-product through the extraction and recovery of added-value compounds present in olive leaves, such as triterpenic acids [where oleanolic belongs]," explains Ana Cláudio. Specifically, aqueous solutions of ionic liquids were used as alternative solvents, allowing the development of a selective and more sustainable extraction process. In addition to water, says the researcher, "only a small amount of ionic liquids is used, having these a negligible vapor pressure and therefore reduced air pollution effect." At the end of this new process of extraction of oleanolic acid, researchers also ensure that it is possible to reuse both ionic liquids and olive leaves to generate energy, also contributing this method to the development of an integrated biorefinery process. The developed process can be used in a large part of the national industries that produce agroforestry residues or food residues that present in their composition added-value compounds, being only necessary to adjust the ionic liquids physical-chemical properties and other operational conditions.